Offering you a complete choice of products which include universal controller n2000s and universal controller n1200. 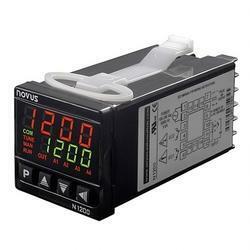 The N2000S is specific for applications in controlling servo motorized valves, servo actuators and dampers by means of two time proportional relays. Double LED display: red for PV and green for SV. Isolated 4-20 mA output with 1500-level resolution, maximum 550 ohm load for control or PV / SV retransmission. It can also be configured for digital input or output (10 Vdc / 20 mA). RS485 comm with Modbus RTU protocol (optional). 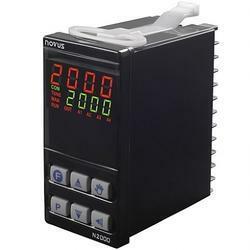 N1200 is an advanced self-adaptive PID controller with an algorithm that constantly monitors the process performance and adjusts PID settings in order to always obtain the best possible control response.A single model is able to accept most industrial sensors and signals and provides all output types required to control different processes. All controller configuration can be achieved from the front panel without performing any hardware change. The multi-purpose inputs and outputs can be combined to provide tremendous versatility with extremely high accuracy in the most demanding applications.